In his April 28th blog for the New York Times, the excellent Timothy Egan wrote about "Desert Derangement Syndrome," his take on the state of things in the state of Arizona. At one point he describes members of the "birther" movement as "flat-earthers." When a friend mentioned she wasn't familiar with the term, I began wondering what the Flat Earth Society has been up to; clearly, its once-powerful publicity machine has broken down. 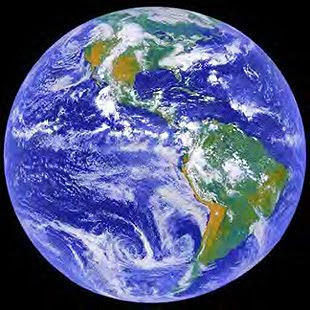 The idea that the earth is flat was widely believed until about the 400 B.C., when Aristotle among others proposed that our planet is actually a globe. The fact that Christopher Columbus and then Magellan failed to fall off the earth's edge removed the remaining doubt for most people. 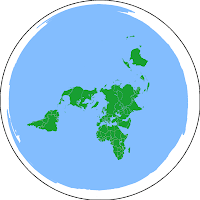 The discoid earth notion was revived in the 1800s by British Inventor Samuel Rowbotham, whose interpretations of Biblical passages convinced him that, despite all evidence to the contrary, the Earth really is flat after all. He wrote a book about it, Zetetic Astronomy: Earth Not a Globe, and attracted a group of ardent followers who formed the Universal Zetetic Society, precursor to the Flat Earth Society. (Are you getting a headache yet?) The image at right is an artist's interpretation of the Society's belief that the earth is a disk and that Antarctica forms an ice wall around its outer limits. In 1956 — yes, that recently — Samuel Shenton, whom Wikipedia describes as a Fellow of the Royal Astronomical Society and the Royal Geographic Society, must have left his peers speechless when he took up Rowbotham's cause and formed the modern-day Flat Earth Society. One might have imagined that space flight, particularly NASA's unforgettable photos of "the big blue marble," would have ended the debate, but this is not the way things work with science deniers. Space flight just gave conspiracy theorists and fellow loonies more fuel. Flat Earth Society members have been among the leading proponents of the notion that the Apollo 13 moon landing in 1969 was staged with the help of Stanley Kubrick. According to Wikipedia, the Flat Earth Society claimed 60 members as of March 2010. I'm sure there would be more, but likely candidates are no doubt too busy obsessing about President Obama's birth certificate and denying climate change. Meanwhile in the loony-loving state of Alaska, an alternate Flat Earth Society has sprung up. I like to think a polar bear with a laptop and a sense of humor is behind it. Please take a moment to enjoy its wonderfully absurd mission statement and an interesting page of "evidence." The Internet, that never-ending source of information overload, has coughed up three stories that add new details to subjects covered in recent Divinipotent Daily posts. 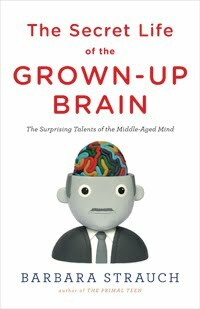 Good News About Old Brains, from March 31st, discussed research showing that — hooray! — we really do grow wiser as we age. National Public Radio, one of the sources for my post, returned to the subject on April 14th with an interview with Barbara Strauch, author of the just-published book, The Secret Life of the Grown-up Brain. Click here to listen to the interview and read an excerpt from the book. 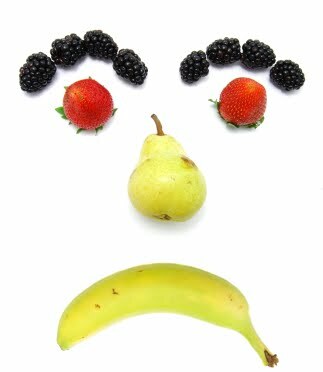 Also on the subject of aging and the brain, Evolutionary Biologist Olivia Judson delivered what may be the best motivation yet for dieting. As she put it in her "Opinionator" blog for the New York Times, "Brains usually atrophy with age, but being obese appears to accelerate the process. This is bad news: pronounced brain atrophy is a feature of dementia." Yes, you read that right: being obese can lead to brain damage. Click here to read her column. 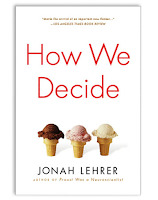 Finally, in my April 14th post, Bombastic Blowards and the Brain, I wrote about neuroscientist Jonah Lehrer's book How We Decide. 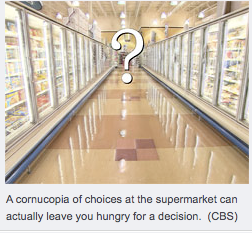 The April 25, 2010 edition of CBS Sunday Morning featured a fun and educational segment called "Decisions, Decisions" that included interviews with Lehrer and other scientists who study how we make up our minds. So far, no video of the segment is available, but CBS has posted this article on the topic; it's worth a read. Happy 464th Birthday, William Shakespeare! 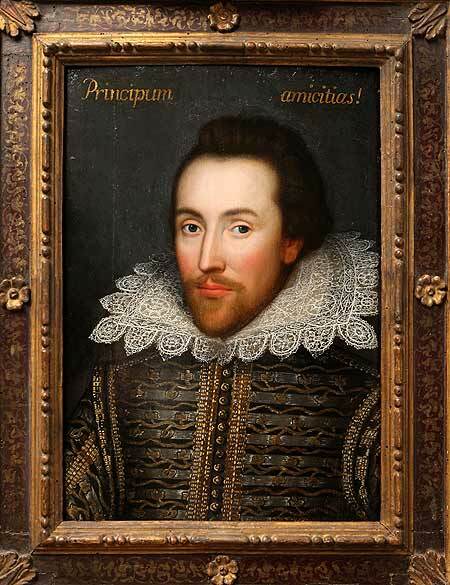 Today, April 26, 2010, is the 464th anniversary of the birth of William Shakespeare. It is also the final Monday of National Poetry Month. You know what that means: It's time for some Shakespeare poetry. People argue about the provenance of much of Shakespeare’s poetry, as well as his plays; to me this is like arguing about whether there is an afterlife: why bother when you'll never be able to prove your point? 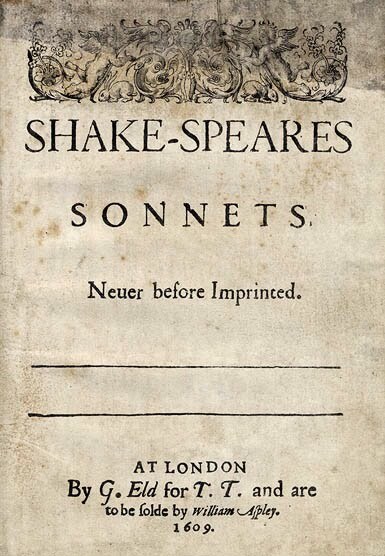 In any case, most people agree that, at the very least, Shakespeare did write the sonnets, of which there are 154. They were first published in 1609. I can’t reproduce all of the sonnets here and don’t want to revisit the ones most people already know (e.g., Sonnet 18, “Shall I compare thee to a summer’s day”). Therefore, I have boldly and arbitrarily chosen to present the first and the last. Enjoy. 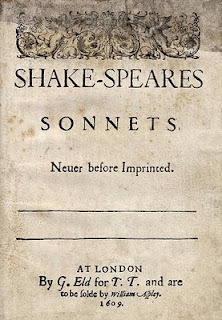 You can savor Sonnet 2 through Sonnet 153 here or here. 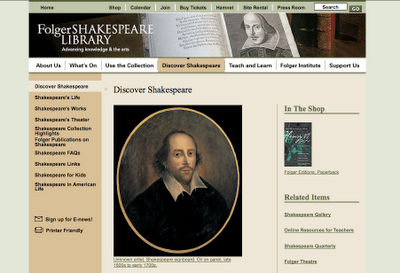 The Folger Shakespeare Library in Washington, D.C., has a pleasingly designed website that is loaded with information about Shakespeare and his works. Click here to explore and learn more. Art Thou Ready? 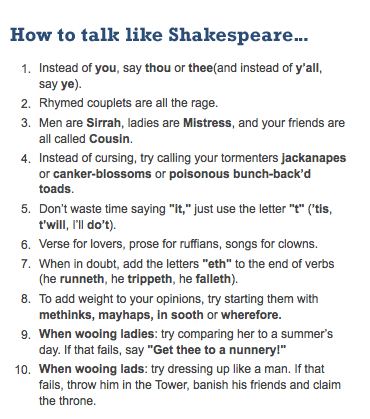 It's Talk Like Shakespeare Day! 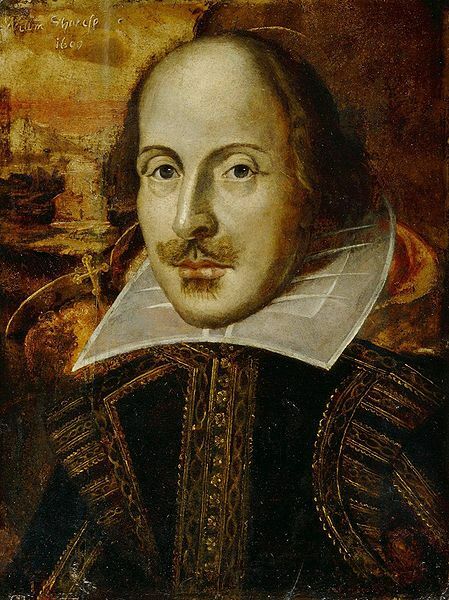 William Shakespeare shuffled off this mortal coil on April 23, 1616. The Bard-loving souls at TalkLikeShakespeare.org beg us to honor the occasion, not in the breach but in the observance, by speaking as if to the manner born. 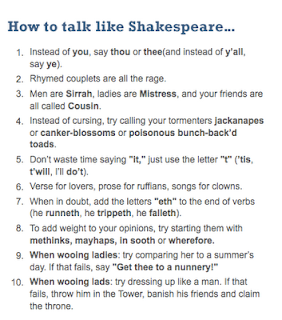 If thou prefereth t' maketh a sound most brilliant by quoting Shakespeare himself, methinks I can help thee there. The enotes gang offereth Shakespeare quotes by theme; the top three themes: expressions and idioms (33 quotes), love (24 quotes) and death and sickness (21 quotes). 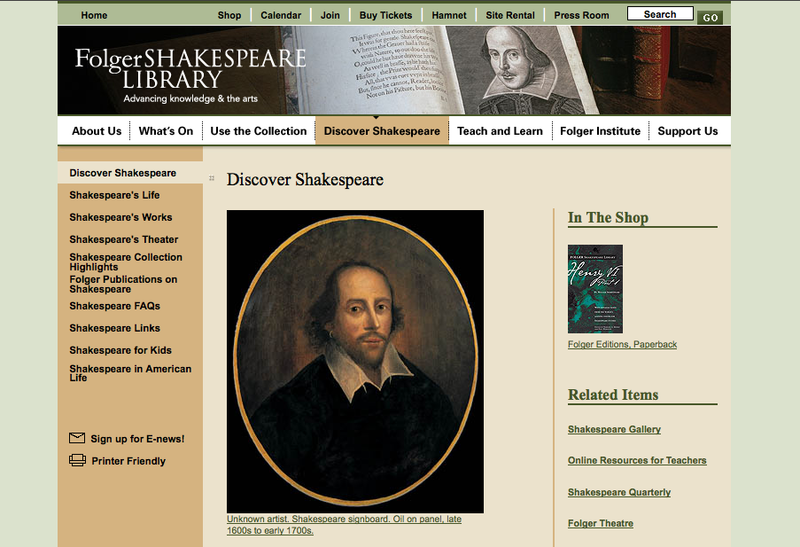 AbsoluteShakespeare provideth a bountiful selection of popular quotes by play. And BrainyQuotes contributeth eleven pages of 'em. knock! Who's there, in th' other devil's name? One might think a person who grew up with five older sisters would have a PhD in moodiness, but that was not my experience. Sure, we indulged in plenty of sibling arguing, but generalized, all-encompassing bad-moodiness? My parents would never have tolerated it. About 15 years ago the company I worked for transferred me to a busy department where everyone was in a bad mad mood at all times. There were reasons for this — the work was intense and stressful, everyone was underpaid and the EVP in charge was a nasty piece of work indeed. Thankfully, the evil boss was soon replaced by a generous, kind man who gave everyone raises, told us often how wonderful we were and literally sang and danced to cheer us up on days when multiple deadlines were weighing us down. (Hello, Neil, wherever you are.) It surprised me that months later, the general bad moodiness remained. In fact, it lasted until the gloomiest employees quit. This is when I learned that once the bad mood vibe settles in, it is toxic, contagious and fixed. Yesterday, it dawned on me that not having to deal with other people’s bad moods is one of the primary benefits of working for myself. I was having some screening exams at an MRI emporium, and the woman at the reception desk had the practiced pout of a dedicated bad-moodist. I won’t bore you with the details, but her behavior ultimately led me to say, facetiously, “Sorry you’re in such a bad mood today.” Strangely, her behavior improved immediately. She must have thought I was serious. A lesson for the future? To be a politically active college student in May 1968 was to live in a vortex of chaos. The year began with North Vietnam’s surprise Tet Offensive, followed by General Westmoreland’s request for 200,000 more U.S. troops. Crowds grew larger at anti-war protests and police became more aggressive, using tactics that intensified fear and anger and told us our government saw us as the enemy. On April 4th, Martin Luther King was assassinated. Suddenly, even the most privileged college students understood that almost anything could happen. As May 1968 began, Bobby Kennedy was on the campaign trail, with one month to live. Students were protesting and staging sit-ins on campuses all over the country. 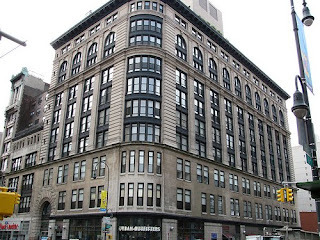 I was studying fine arts at the School of Visual Arts on East 23rd Street, and poet Sharon Olds was 100 blocks north, working on her PhD at Columbia. Her poem “May 1968” is the testimony of a participant. Well over 100 Columbia students were arrested at campus protests that May. the night air over the island. To learn more about Sharon Olds and read additional poems, visit Poets.org. 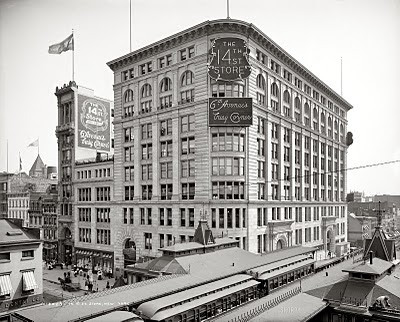 Have a look at this building, home of the 14th Street Store. It was designed at the turn of the last century by Cady, Berg & See, who also designed the mysterious and cavernous American Museum of Natural History. The store opened in 1903. This photo was taken in 1906. Unfortunately for Siegel, the public's fancy was gradually moving north. The 14th Street Store went bankrupt in 1914 and Siegel was jailed for defrauding investors. New York City's West 20s and 30s declined into grime and squalor for decades as fashion relocated to Fifth and Madison Avenues. But then, about 25 years ago, gentrification began to scrape the grime from the neighborhood now known as Chelsea. 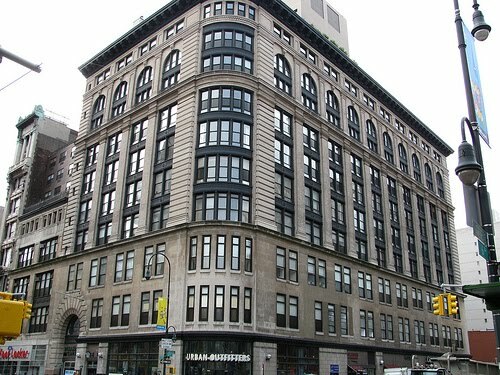 The old Siegel & Cooper buildings once again house retailers, although nothing like the grand department stores of a century ago — Urban Outfitters has the West 14th Street location and Bed Bath & Beyond and TJ Maxx are up at 18th Street. And, alas, no trolley lines. 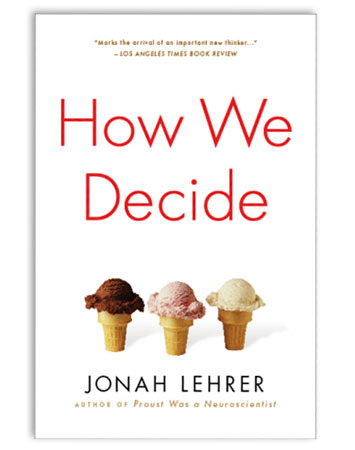 It’s taking me forever to finish neuroscientist Jonah Lehrer’s fascinating book, How We Decide. His subject is the brain, specifically the anatomical parts, chemicals and communications gyrations that are triggered whenever our brains need to make a decision. The book is not particularly long and is anything but boring. The problem is, I keep coming across information so interesting that I set the book down and begin mulling over how what I’ve just read compares to the decisions I see people (including myself) making in life. Lehrer reminds us that although the rational mind has been glorified since the days of the ancient Greeks, all decisions require the participation of both reason and emotion. Generally speaking, the emotional brain reacts to the risks or rewards attached to a decision and the rational brain — the part seated in the prefrontal cortex — reviews and approves or disapproves. However, emotion and reason excel at different tasks and often disagree. 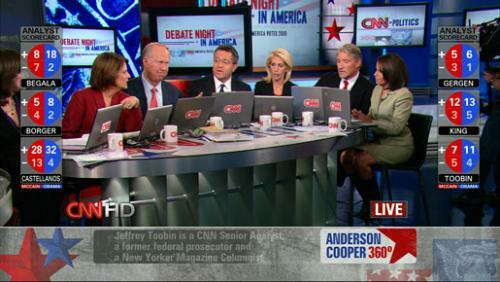 Personally, I would like to rid the world of pundits. I stopped watching their weekly showcases, the Sunday morning news shows, years ago; in the last election, the only coverage I could tolerate was the comment-free variety. But it’s a losing battle. People are less and less inclined to do their own thinking and the rise of 24-hour news channels has made being a bombastic blowhard a growth industry. 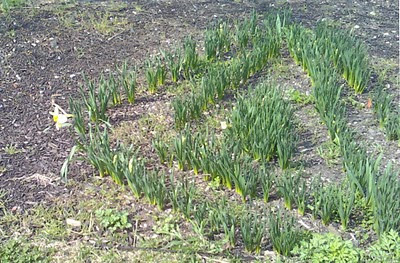 It's another Monday in National Poetry Month (otherwise known as April) and for today, two poems are on the menu. 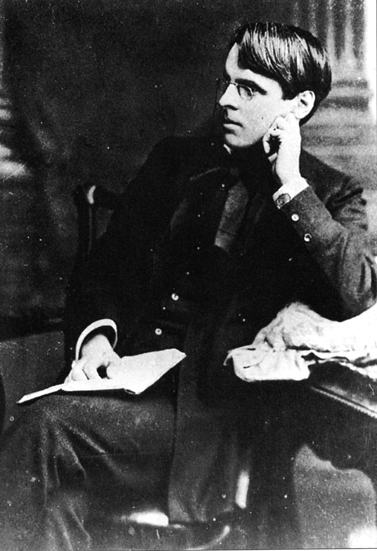 The first is the intense, visionary William Butler Yeats classic, The Second Coming. The imagery is Biblical, but the poem itself is beyond religion. In this chaotic world, it is never far from my thoughts. Where The Second Coming is almost hallucinatory, The Apple Trees at Olema by Robert Hass is like a film made with a hand-held camera. I could read this poem every day and find something new each time. of small new leaves flickered even on the deadest branches. leaf-green flower whose name they didn't know. Trout lily, he said; she said, adder's-tongue. and looks to her to mirror his response. fades like a scar in the sky to the east of them. resembles seaweed drying lightly on a dock. as the tide, going out or coming in, at sunset. it draws them closer, and they start to walk again. A small boy wanders corridors of a hotel that way. and then he wanders among strangers all he wants. For more poetry by Yeats and Hass, visit Poets.org, the Web site of the Academy of American Poets. Some say the Internet will be the death of proper English, since the language is so frequently mutilated online. However, it's equally true that for anyone who loves language, the Web overflows with ways to feed your word Jones. Today's subject: word sites and word bulletins I like enough to have delivered to my in-box; on another day I'll explore some language blogs I follow. I'd love suggestions for both lists, so please speak up. A.Word.A.Day. from Wordsmith.org My first and still favorite word of the day is the creation of Indian-American author and computer scientist Anu Garg. He began A.W.A.D. in 1994 as a labor of love for friends; over the years what began so casually has accumulated 900,000 subscribers, all by word of mouth, and inspired three books. Each weekday brings a word, its pronunciation and definition, a brief bit of etymology, a usage quote and, a final gift, "A Thought for Today," a philosophical quote. On the weekends he sends the often fascinating Wordsmith newsletter, in which readers talk back. Fritinancy is "recovering journalist-turned-name-developer with a love of words" Nancy Friedman's always witty and sometimes exasperated examination of names — products, places, businesses and babies — as well as language trends. (Her latest topic: a restaurant named "The Dead Fish.") 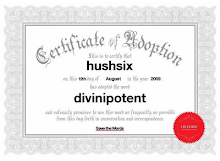 Fritinancy's blog roll is a great place to research still more word-obsessed Web sites. M-W's Word of the Day from Merriam-Webster usually offers insight into everyday words, but sometimes strays farther afield. Each e-mail includes pronunciation, meaning, usage and etymology. OED Online Word of the Day from Oxford English Dictionaries offers an exhaustive and sometimes exhausting look at the many uses and meanings of words and terms you think you know. Urban Dictionary is all about the latest slang coinages. Readers make suggestions and vote on the slanguage entries they like and dislike. I am frequently surprised by what people like. 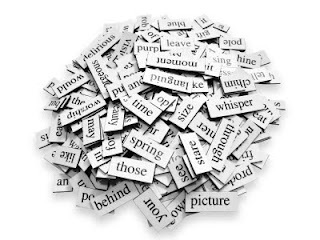 The Web of Language from Dennis Baron, a professor of English and linguistics at the University of Illinois, is an occasional rumination on language and how it is used and abused. Word of the Day from Dictionary.com roughly follows the A.W.A.D. model (word, pronunciation, definition, usage quotes), but of course chooses different words. If you're like me and can't get enough words, sign up. WordSpy calls itself "The Word Lover's Guide to New Words" — all entries are recent coinages, not all are likely to last. A recent favorite: "cosmophobia n. The strong and irrational fear that in the near future the earth will be destroyed by some cosmic event." Yesterday in New York City, the calendar said early April but the weather said mid-June. The temperature was close to 80 degrees, and the trees were unprepared — the fruit trees bedecked in flowers, everything else just beginning to bud. 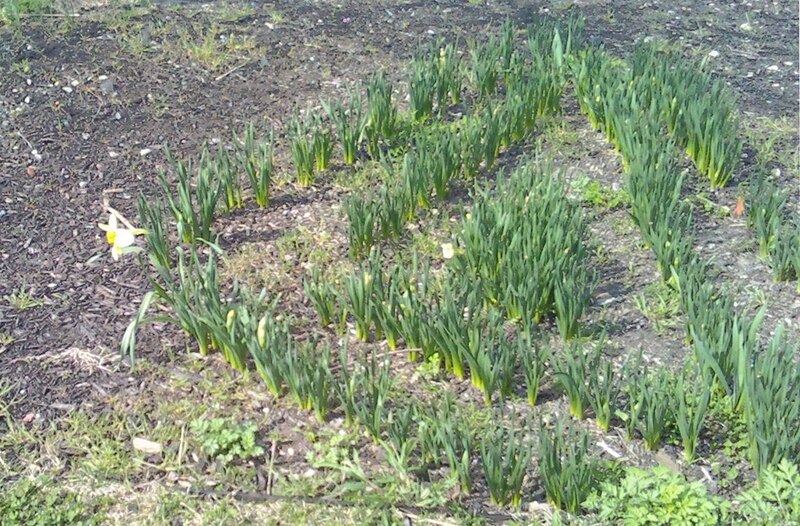 The jonquil was thinking, "I hate being the first one at the party." Walking along the East River, I scribbled this in my little Moleskin, "Just now the waterfront is so still it seems the air itself is holding its breath." Eventually the breeze sidled in, rippling the river just enough to get a little row of Canada geese bobbing. I sat in the shade with my salad, reading about the mind and listening to the small, happy sounds of an infant on a blanket in the grass a few feet away. It was a lovely day. It seems to me that poetry is a good way to start a week — especially a week in April, which is National Poetry Month. Let's see if that's true. Marie Ponsot was born in Queens, New York, in 1921. In addition to creating powerful, insightful poetry, she is the mother of seven children, a grandmother and great grandmother of many; I mention this because it sometimes looms large in her work. To be as joyful and energetic as Marie Ponsot is at 89 would be a blessing at any age. Have a look at this video. This 1998 poem is about a new addition to the family, just learning to walk.